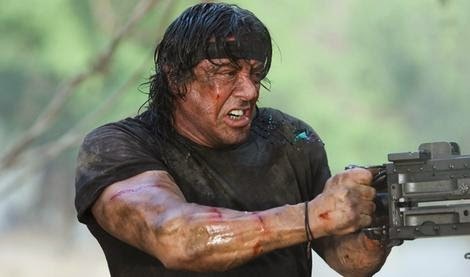 Rumor is that Sly Stallone is seriously considering returning to the role of John Rambo for a 5th and final time. Apparently this time the story would revolve around Rambo taking down a Mexican drug cartel. Not only that word is Stallone will write the script for the 5th installment. Sounds a lot better than the Rambo 5 story rumor floating around a few years ago that involved Sly hunting a giant beast on the West Coast, however I don't know if many are excited for a Rambo 5 at this point. So is does anyone want to see a Rambo 5 besides BBQ17 and I if so let us knows in the comments. Also let us know what you think about Stallone ending the Rambo franchise with a cartel battle. Thanks to Russ Fischer of /Film for the scoop!